Bob McKenzie: Todd McLellan isn’t a candidate for the Buffalo Sabres head coaching position any more. The sides talked but no offer was never finalized. 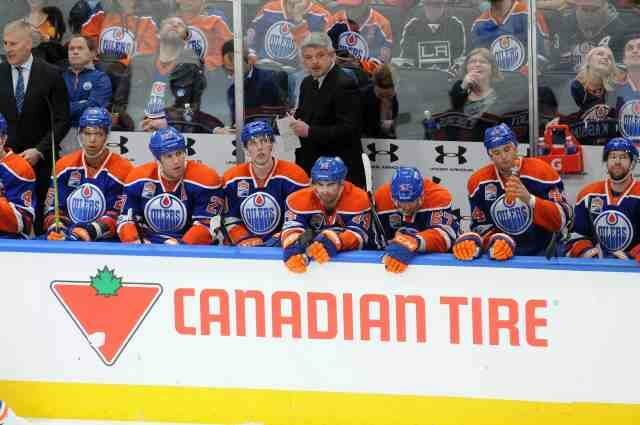 McLellan is expected to be named the next coach of the Los Angeles Kings. Dennis Bernstein: As reported back on Wednesday, McLellan will be named the Kings next coach. McLellan’s deal is expected to be for five years. The deal is expected to be announced by Monday, if not sooner. John Shannon: McLellan is expected to be in Los Angeles next week. Sam Carchidi: Philadelphia Flyers GM Chuck Fletcher said that there is no timetable to name a new head coach, but he did say that it would be “well before” the draft in June. Elliotte Friedman: Heard that the Flyers have permission to speak with Alain Vigneault about their head coaching position. Krueger back on the NHL radar? Sky Sports News: Southampton chairman Ralph Krueger will leave the team on June 30th. Jim Matheson: Any team that is looking for a head coach or a high position should consider Krueger. He can coach, manage or be a president. Kurt Leavins: Having a combination of Krueger and Keith Gretzky would be good for the Edmonton Oilers. Jim Matheson: Bob Nicholson said he’s looking for a GM and not a president of hockey operations at the moment. He’d be missing out on Krueger. There is another NHL team that is looking for a president.